To celebrate National Library Week (April 7-13), SVMS media coordinator Maureen Donohue set up stations in the library centered around library and book themes. There was a book-in-a-jar guessing game, a library trivia contest, first lines of books hidden messages, summer reading books word searches, and more. 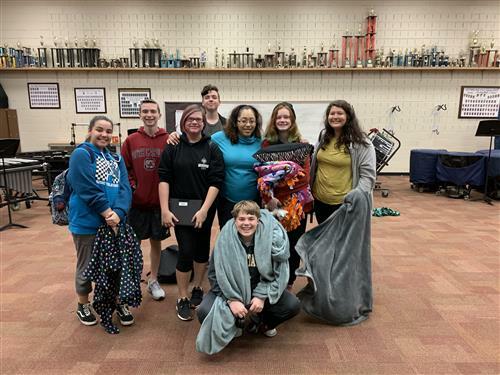 Safe travels to the 8th grade Spartan Sound Marching Band members traveling to New York today. The Spartan Sound (SVHS Marching Band) will be performing in the 258th New York City St. Patrick’s Day Parade on Saturday, March 16th. On Thursday, March 7th, SVMS hosted its 2nd Annual Valley Expo. The Expo is a way for current and prospective students and families to learn about the different clubs and activities offered at SVMS. The Expo comes on the heels of school visits by the students of feeder elementary schools. The CTE Flight and Space Class for Semester 2 has finished its first project. Students were learning about Flying Machines and how they work. The class completed two projects, one being a Hot Air Balloon and the other a Tetrahedral Kite. 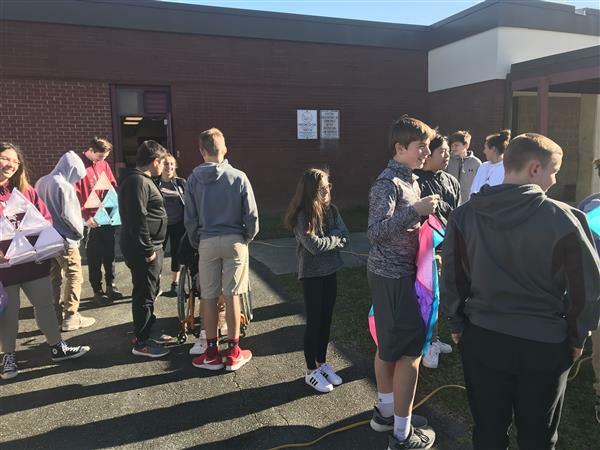 Students looked at how each one used a different method to fly and how that may influence how flying machines are used in the transportation system. Recently two SVMS students met with other students from across the district at the iRules Academy workshop held at CATA. Ella Brown and Amylinn Ince learned about digital safety and digital etiquette and how to maneuver in the fast-moving landscape that is social media.